← Can I use the Well-being Measure with disabled young people? It provides a framework in which to think about and assess interventions and their effects – giving a common language. It’s what commissioners have in their minds when they fund services from charities. Factors assessed by the CAFs include emotional and social development, family and social relationships, and self-esteem – all aspects of well-being included in NPC’s Well-being Measure. Alongside these are other aspects of well-being including achievement in learning, ensuring safety, and housing, employment and financial considerations. CAF’s aim is to provide an assessment of the ‘holistic’ well-being of the child. Ongoing monitoring and reviewing of what works is one of the expectations of the CAF. Throughout the forms, the same questions crop up again and again: what evidence is your assessment based upon? How will you know when things have improved? Below is a page taken from a CAF form from a London borough, which shows the areas of assessment. NPC’s Well-being Measure can help answer some of these questions by providing a clear, measureable indication of progress. Although it designed as a group-level measure, it can shown that interventions are effective and have an impact on young people’s well-being. Speak a language that local authorities understand and use NPC’s Well-being Measure to show how effective your work is. To see examples of how NPC’s Well-being Measure has been used, click here. 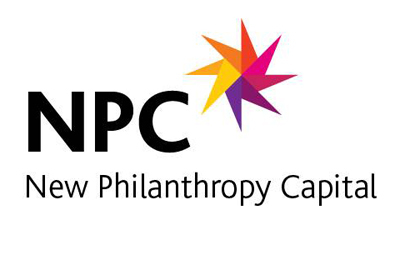 To contact us to discuss using the Measure, email us at wellbeing@philanthropycapital.org.